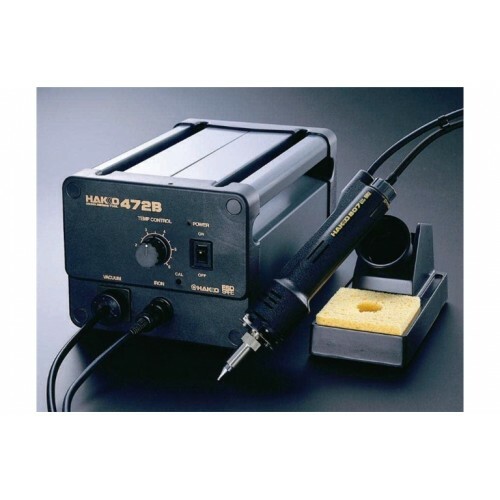 Hakko 472 refurbished self-contained Desoldering Station with 807 pencil-style handpiece, NEW 60 watt heater, new seals/filters. Handpiece holder*, Operators Manual. 115vac, 60Hz, three wire cord.